Every Valentines day, we are reminded of the importance of love and friendship. We notice the people and moments that impact our lives in the most beautiful ways; by bringing us joy, happiness, and that indescribable feeling of love, reminding us of what it’s actually all about. Although there are so many people we can be thankful for, there is always that one love that stands out the most: “the one”, “the love of your life”, your best friend. 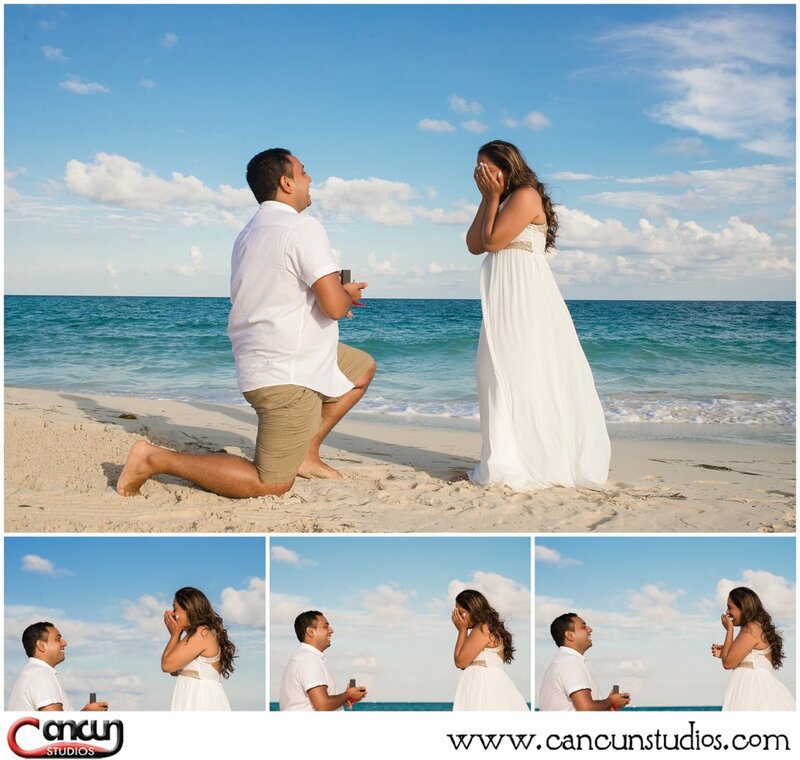 When you know, you know, and here we will go over some tips on how to plan the perfect surprise proposal in Cancun so that you can make that romantic daydream a lifetime of happiness. Have a plan – You definitely want to have a plan already set when you arrive to Mexico. That includes choosing the day of the proposal and having a back up day just in case of rain. This is very important especially when working with outside vendors such as a restaurant, florist, or photographer. Usually you will hire these vendors with anticipation and make your reservations ahead of time with each vendor. Location – One of the most popular locations in Cancun for a surprise proposal is on the beach. 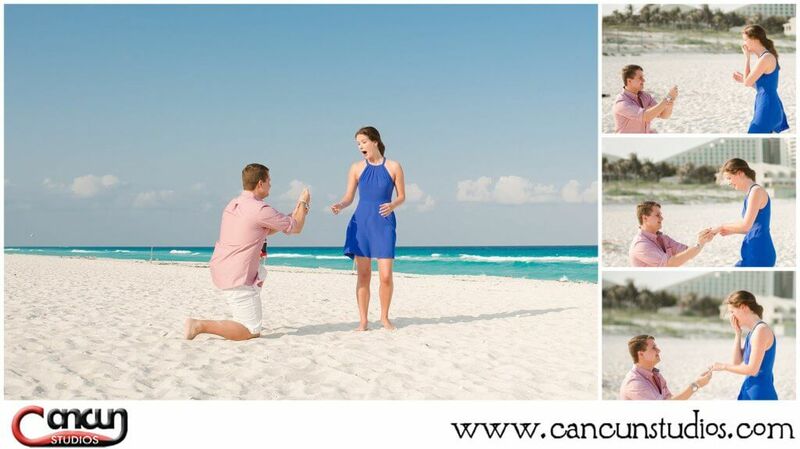 However, if your hotel does not allow for outside vendors like your florist or photographer, you may have to consider an alternate beach location for the marriage proposal. There are many beautiful beaches in Cancun and the Riviera Maya that are open to the public where you can have your vendors meet you for their services. Here are a couple of our favorite beaches. 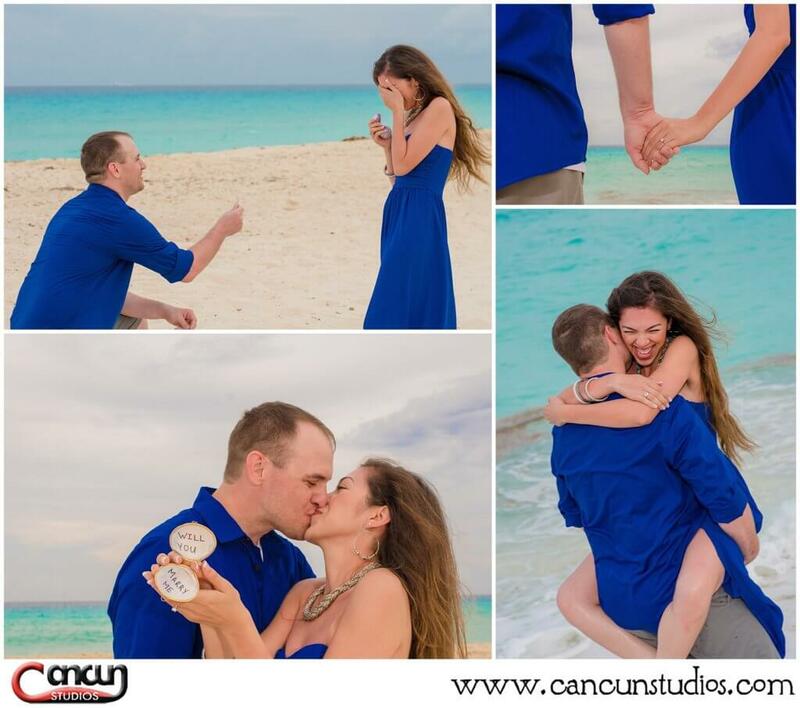 Time of day – Plan your surprise proposal in Cancun about 1.5 hours before sunset. This is usually around 5:00-6:00pm when the day is cooling off and the sun is not so harsh. This will also give you plenty of natural light for the special moment and you will have plenty of daylight to take photos. Then you can finalize the day with a romantic dinner at sunset and champagne in your room afterwards. Document the moment – A moment like this deserves to be documented by a professional. 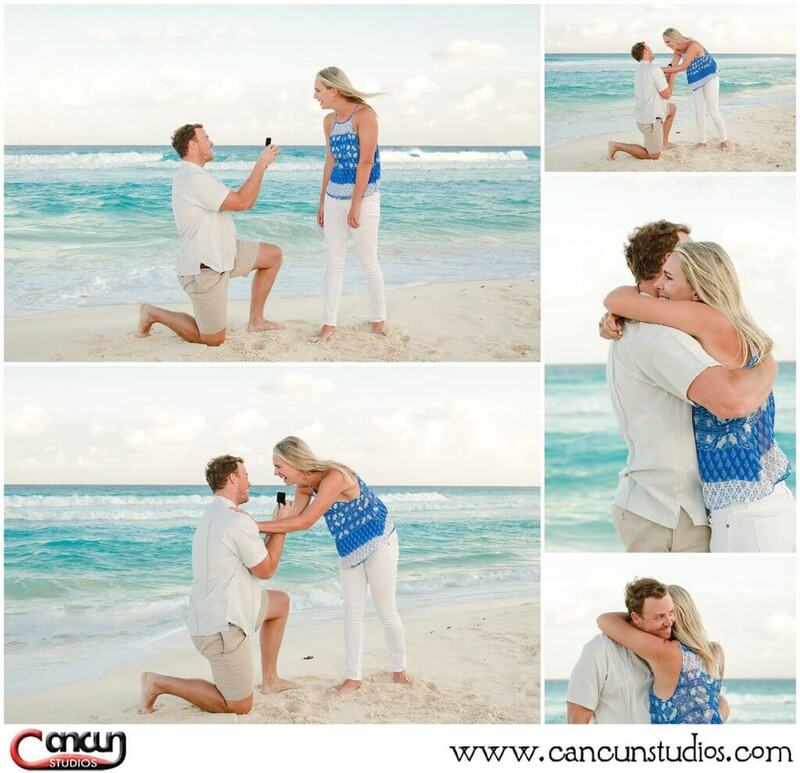 Hire a photographer or video specialist to capture the surprise proposal. Our company works with two photographers to capture both of your reactions at the same time. You will be happy you did once you are able to relive the moment with photos or video. Hide the ring – When the moment arrives, make sure to hide the ring safely. Sometimes a bulky box will show right through your pocket and can ruin the surprise. 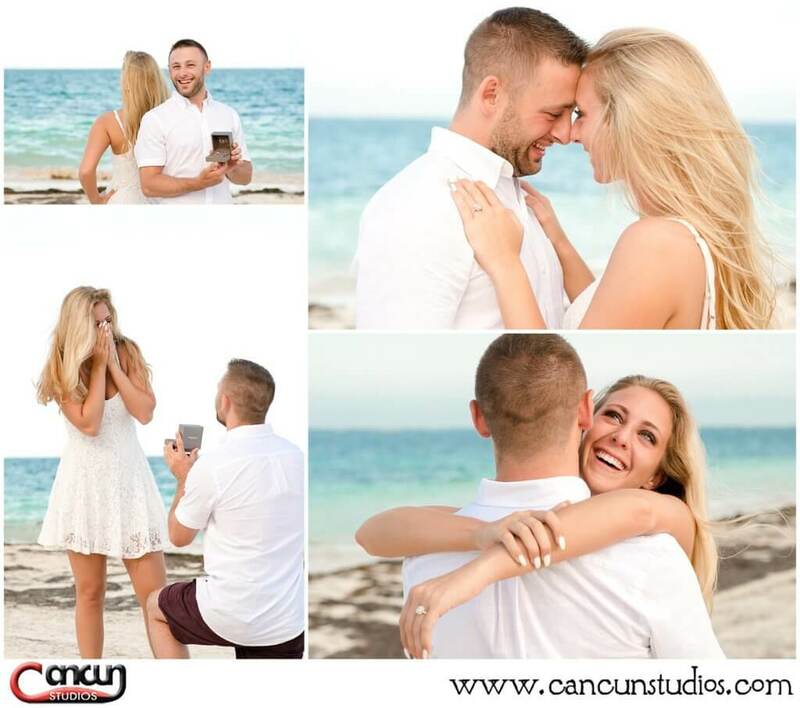 Find a smaller box or keep it safe in your pocket until the moment of the surprise proposal. Be cool and enjoy the moment – Although it’s natural to be nervous, try to maintain your cool and enjoy the moment. Do what comes natural, let your emotions free whether it be laughter or tears of joy. Embrace this life changing moment and bring a handkerchief, both of you may need it. These simple tips will help you to prepare the perfect moment for your surprise proposal. 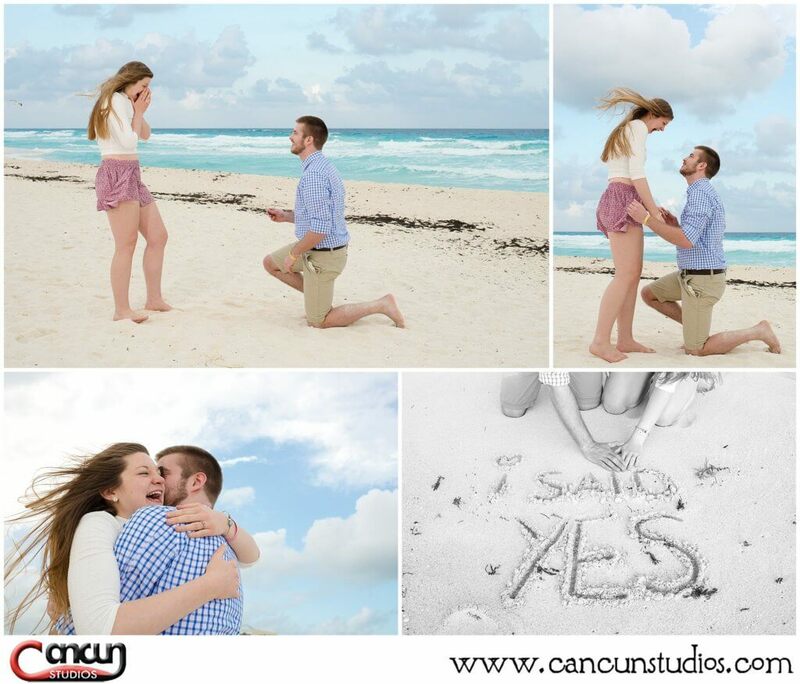 If you need more guidance, contact us, we have tons of ideas on how to go about proposing on the beach. 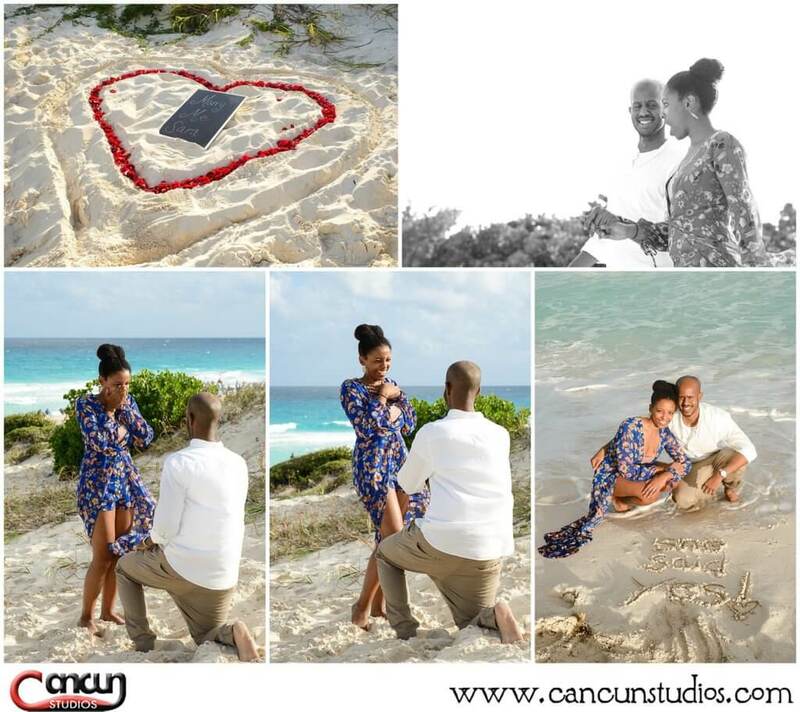 We are specialists in photography and surprise proposals. Contact us today toll free at 888-215-0428 or email us a message.